Unit C of QC Design School’s Color Consultant Course will teach you how to expand your client base as a color consultant. Learn how to consult on corporate color palettes that align with company goals. Explore color psychology in the office, and discover how to help retail brands appeal to customers using color. 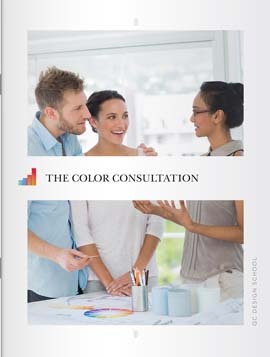 Follow Jane Lockhart’s steps for conducting a color consultation, including working with contractors, managing client relationships, and working with color planning software. 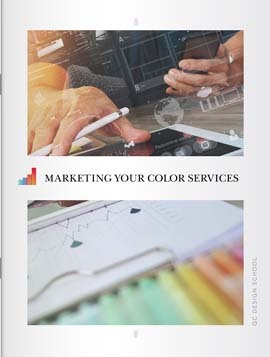 Establish yourself as a color expert and build a successful business by creating your brand, identifying target clientele, setting your prices, and marketing your services. As a color consultant, you’ll likely work with clients who are overseeing the design of a workplace. 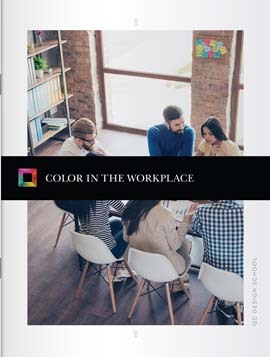 Discover how to choose a corporate color scheme by studying helpful photo examples, and leverage color theory and psychology to create a corporate environment that exceeds a client’s expectations. Learn how to design a retail store, restaurant, and medical office, and how to appeal to customers, evoke certain emotions, and direct movement in each space. While each client is unique, the general structure of a color consultation is the same. Explore each step of the consultation process, including the first meeting, the assessment of the space, and how to use your client’s goals to develop a color palette. Learn how to present your ideas using a mood board, how to justify them to your client, and how to work with contractors. Build positive relationships with clients by managing expectations, preventing conflict, and informing clients as much as possible about the project at hand. 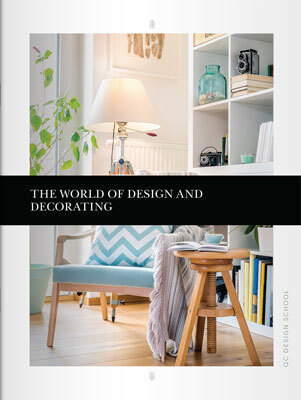 Become familiar with color planning software, and explore the ways in which your design services can be combined with home staging and interior decorating. As a color consultant, you’ll have the opportunity to set up your own business and be your own boss. Learn how to create your brand through market and competitor research, and identify who your clients will be through personas and customer surveys. Study elements such as brand position, promise and personality in order to organize your brand, and become familiar with the four “P’s” of marketing. Explore different ways of promoting your business, including how to build a website, create your designer portfolio, and advertise your services.